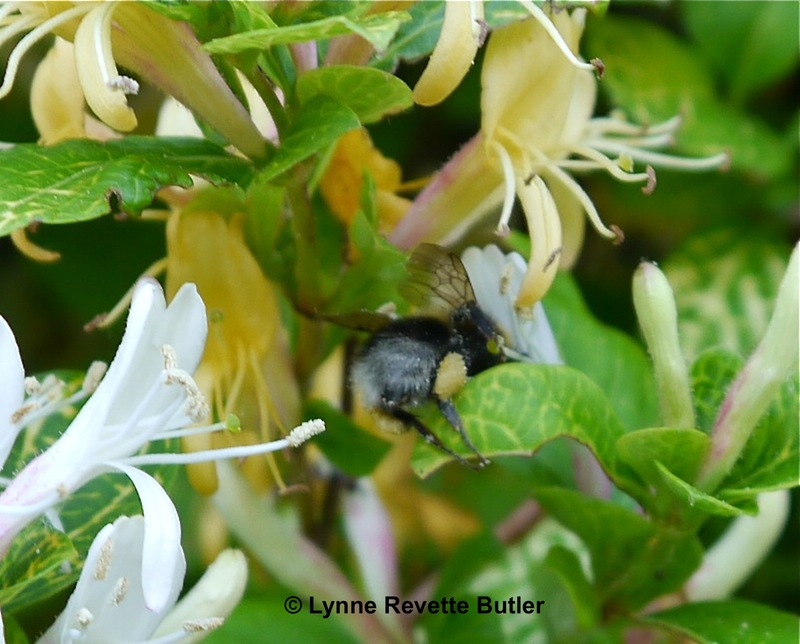 This entry was posted in Environment, Gardening and tagged bees, honeysuckle, lonicera japonica Aureo-reticulata, scent. Bookmark the permalink. I love the smell of honeysuckle. The last photo is fabulous! Thanks, I have no idea how that bee was still managing to fly it was so heavily laden. U r so lucky to have honeysuckle in your garden! We struggle with it in our yard (even though it grows around here) and I’ve pretty much given up. Enjoy the lovely scent!!! 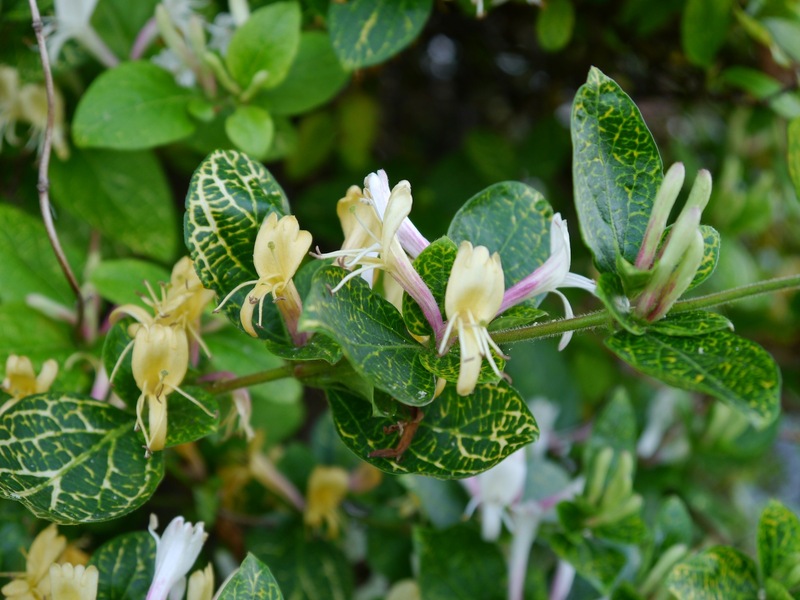 Sorry to hear that honeysuckles do not grow well for you; have you tried different types or tried growing one in a large pot? I don’t know much about your climate but if they grow locally perhaps there is still hope! The scent from this one is definitely worth fighting for. I don’t think any honeysuckles could withstand ducks though. Oh, the ducks! I didn’t think about that last year when I tried them (again!) But a pot is great idea as well as perhaps in the duckless front of the house. Thanks for the great suggestions! I absolutely adore the scent of honeysuckle. I actually don’t know its name until I stumbled across your blog! I had a vase of it in my room the other day and it smells heavenly! Thanks for visiting my blog. I have 4 different types of honeysuckle in my garden; they all have strong scents that are slightly different from each other. Hope you are having a good weekend in Canada. I also saw a bee having a zizz the other day! I’ve never seen that before. Finally it shook out each leg, briskly *washed* its face and flew away as good as new. 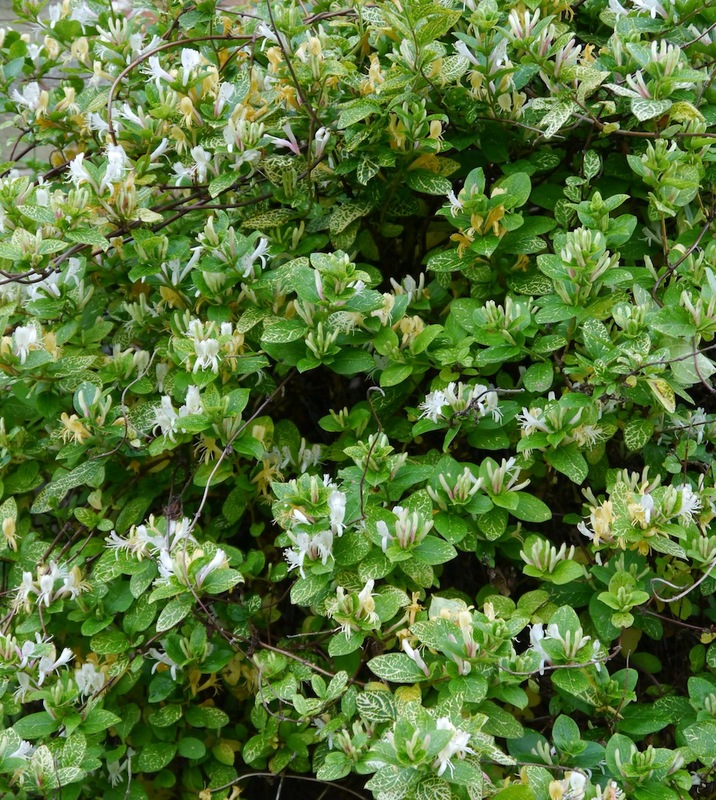 Your honeysuckle is lovely – mine is slowly colonising the front of the house and had almost completely enclosed the bird feeder when I finally got round to cutting it back. I think that after all the cold wet weather the bees might be overdoing it while there are so many flowers out at once; I have seen several more resting on that honeysuckle. I particularly like this variety because the leaves are still interesting to look at when the flowers have gone. I have finally found a nice summer frock in one of my “archived clothes” boxes so I am sorted for the service next weekend. Great thing about getting older is that nobody expects you to be in the latest fashion!